What is the meaning of life? Why are we here? How do we make the most of our time here on earth? How do we not waste our lives? These are the questions we are exploring as we read and study John Piper’s book Don’t Waste Your Life. Have you ever wondered why other Christians seem to be more effective at evangelism, more successful at self-control, or less anxious about the troubled world in which we live? Then come explore these questions and others with us on Sunday mornings at 9:45! As we approach the celebration of the 500th anniversary of the Reformation, the Shearer Elective Class will be studying Luther and the Reformation. The Reformation, according to some historians is a watershed event that set-in motion amazing changes that changed the course of the world. Just as the internet has given people information at their fingertips, the Reformation gave the world the Bible through the printing press. Now the common people now had the ability to read for themselves the Truth of the Scriptures. This led to some people being able to think for themselves, to interpret the Bible and begin discussions they were never able to have themselves. The video series will focus on the Man and the events, from Luther’s adventures of coming to faith and how that one man was able to change the world. “Like all the Gospels, Matthew’s purpose is to convey authoritative teaching by and about Jesus, whose coming marks the fulfillment of God’s promises and the presence of God’s kingdom. Matthew makes no division between history and theology. His history is the basis of the theology, and the theology gives its proper meaning to the history. Matthew makes extensive use of “fulfillment” references to the Old Testament. His citations are not presented as isolated predictions and fulfillments, but as proof of the fulfillment of all the expectations of the Old Testament. This concern affects the way Matthew stresses certain elements in the history. Matthew shows us the illegality of the Sanhedrin’s actions in the trial of Jesus (Matt. 26:57-68), the distortion of the Old Testament by the scribes and Pharisees (Matt. 15:1-9), and the covenantal nature of God’s dealing with His people. 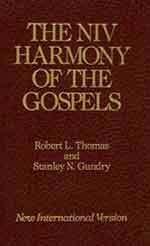 The Ladies’ Bible Class continues to study The Harmony of the Gospels. We have covered the scriptures concerning the upper room where Jesus dismisses Judas. Although the disciples don’t know it yet, those who are left in the room constitute what will be the beginning of the Christian Church. Jesus has warned them that what he has to suffer, they will also suffer, and this will come to pass since all of the Apostles were martyred except for John, who died around the age of 98 on Patmos. The class will continue studying Jesus’ life by going with him to the cross, except it was he who did the suffering and we who received the benefit of salvation. If Sunday mornings cannot work for you, or you desire a deeper fellowship with other believers, or perhaps are seeking encouragement in today’s hectic world, there are several groups meeting regularly throughout the month. First meeting will be September 24th. See Pastor Stout for location and time.